Most of the racing teams in the WRC are choosing to stick with their existing vehicle set-ups for 2016, even though there will be new specification rules in place for 2017. Hyundai Motorsport are choosing to go a different route, though, as they will be introducing a new generation i20 WRC when they run in their first race of the season at 2016 Rallye Monte Carlo. The new i20 WRC will be driven by Thierry Neuville and Dani Sordo, while the outgoing 2015 i20 rally car will be driven by Hayden Paddon at his first Rallye Monte Carlo. 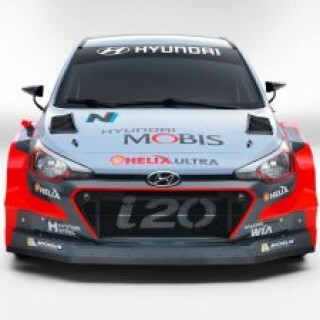 He will then make the switch to the new i20 WRC at Rally Sweden. Having three drivers take part in the race at Monte Carlo is a bit of a milestone for Hyundai Motorsport, as it will be the first time that they will have had a trio of drivers compete in the same event. This will serve as good experience for Paddon, as it will represent the first time that he has sat behind the wheel of any car at the Monte Carlo event. Neuville will be looking forward to this season, and will also be looking to build on the results he posted in 2015. Last year, Neuville finished 5th overall and also posted a pair of top-three stage times. The new i20 WRC should certainly be ready for the rigors of the new season, as it has already been subjected to over 8,000 km of testing during its development. The new vehicle may help Dani Sordo improve on the performance that he put in last season, where he ended up finishing 6th overall. All three drivers are well aware that the race at Monte Carlo is a tough way to start the season, as it is one of the most challenging races in the WRC. A good performance there, though, could set the stage for a very good season. Hayden Paddon will perhaps have the toughest challenge of the three drivers, as this will be his first go round at Monte Carlo. He has said that he has heard a lot about the course, and can’t wait to get behind the wheel and give the old i20 WRC a spin. The older car is not just there to make up the numbers, though, as it will be used to help the drivers learn the stages and adapt to the very difficult conditions that Monte Carlo delivers. A big part of the challenge offered up at Rally Monte Carlo is deciding which tires to use for each stage. The conditions can go from dry tarmac to icy roads in a matter of a few miles, and it is imperative that the correct tires be used to handle each of the individual challenges. Hyundai Motorsport are out to win races this year, and they will be looking to do so from day one.